The place where today we witness the most striking lack of inspired leadership is also where we might appropriately most hope it would thrive: in the halls of government. Confidence in governmental leadership today is embarrassingly and frighteningly low. U.S. congressional leadership approval figures rarely get above the teens. My work with colleagues at the Institute for Creative Development, a Seattle-based think tank, provides big-picture perspective for understanding just why this might be so. 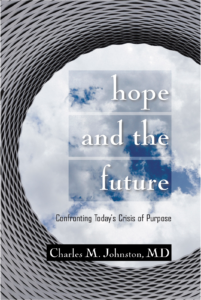 In my book, Hope and the Future, I propose that Modern Age institutions and ways of thinking are not the ideals and end points we often assume. I examine how a new, more mature chapter in our human story is needed, and in many spheres beginning to become manifest. Key in these changes—what I call Cultural Maturity—is an essential “growing up” in how we understand, relate to, and embody authority. This includes authority of all sorts, but government authority provides a central example. In Hope and the Future, I argue that bringing greater maturity to the halls of government will be essential not just to good future decision-making, but to the effective future functioning of government. This is so for a simple reason: The important questions before us are all systemic in nature. They require us to bring together a complexity of often contradictory-appearing factors. While we tend to the think of opposing political worldviews as rationally arrived-at differences of opinion, more accurately they represent predictably opposed polarized positions within larger systemic realities. Thus, in them, we find the potential for thinking that can take into account that larger kind of complexity, but only the potential. To this point, we have not been capable of the maturity of perspective needed to consciously draw on that complexity. —Are there people who can’t put food and the table and who need the support of society as a whole to make it? Yes, certainly. Is it the case that unhealthy dependencies can result if government reflexively provides handouts? Again, yes certainly. —Is it the case that a nation must stand ready to defend itself and not hesitate to do so when needed? Without question. Is it the case that patience and diplomacy often provide the most effective defense? Again, yes, without question. —Is it the case that government is capable of solving problems that private institutions, with their private motivations, are helpless to address? Unquestionably, yes. Is it the case that governments tend to grow uncontrollably if given the chance and that “less is more” is a pretty good principle when it comes to bureaucracy of any sort? I believe so. Today’s extreme partisan pettiness leaves us with two important questions: how seriously this lack of leadership from both the Left and Right should concern us, and more deeply, why this is what we see. The inability of many of today’s leaders to relate with even a traditional graciousness of perspective, much less culturally mature perspective, could be only a momentary annoyance rather than anything of great significance—a product perhaps of political cycles. It could also be of greater significance, but still transitory—a product of the particular difficulty of the challenges we face rather than something fundamentally amiss. Systems challenged to more than they can handle commonly polarize in response. Given the critical role that political leadership must play in a healthy future, these questions are critical. And given the significant progress toward Cultural Maturity that we find in many other spheres, they are also particularly intriguing. The concept of Cultural Maturity predicts the need for an important next stage in how we think about government and governance. Given the demanding nature of these changes, it would not be surprising if the getting there takes us through awkward in-between times in which what we witnessed seemed embarrassing, if not absurd. If this interpretation is not correct, the only alternative may be the dead-end conclusion that government is irretrievably broken and ultimately incapable of providing needed guidance. 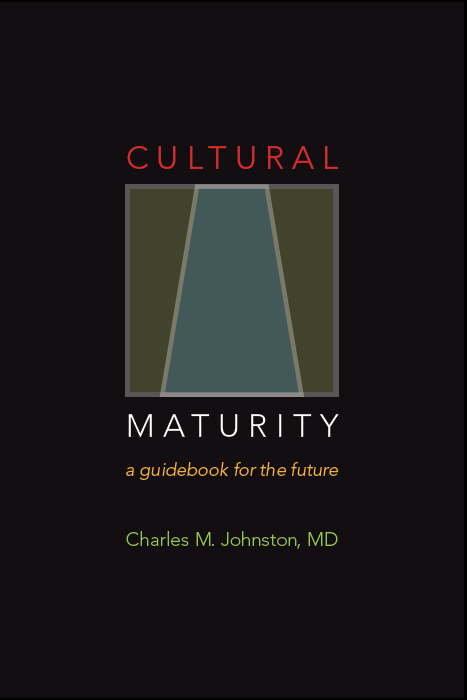 You can find further reflections on Cultural Maturity and its implications at the Cultural Maturity blog (www.CulturalMaturityBlog.net).